· Energy efficiency of the solution. · Availability of after-sales service too. · Boilers or water heaters. Quite a few home owners go in for home heating systems which work with oil. The storage tanks for oil can lie either above the ground or under it. When it comes to underground tanks, it is important to know that there will be a time when it has to be removed. This is where you should call in the experts. 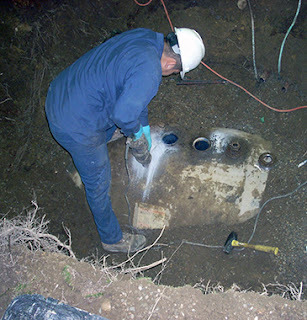 Underground tank removal is a task that needs lot of attention and professional expertise. Why should the tank be removed? · Develop leaks that will allow the oil to leach into the soil. · Cause harmful contamination to the soil and the property. · Gather a huge amount of debris and dust which needs to be cleaned up. · The kinds of projects they have handled. · Their certification and expertise in the job. · The sizes of tanks they have handled. · Longevity in the business and so on. Once you have identified such a professional, you can get a price quote for the job and let them do their job. The company will make an assessment about the tank – its size, the depth at which it lies and even judging its safety. In some cases, they will also obtain necessary permits from the fire department for excavating the tank. Depending on the size of the tank, they can take anywhere from 4 to 8 or maybe more hours to do the job. The job is completed with an in-depth analysis of the soil that lies around the tank site. A good service provider will also restore your landscape before signing off.